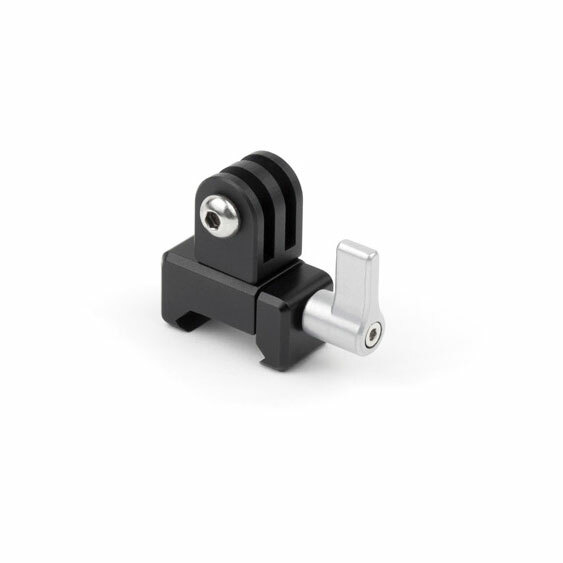 NATO Lock GoPro (Clamp Only) is the quick release clamp portion of the NATO Lock GoPro Kit which is based on NATO standards. The clamp portion of the kit includes a GoPro attachment point that can bolt to the underwater housing or frame. Includes M5 screw and the original GoPro thumbscrew can be used if preferred. Tilt and adjust 180 degrees. Loosen two phillips screws on clamp bottom to rotate mount orientation in relation to the gray thumbscrew. Compatible with RED Swat Rails, Zacuto Z-Rails, and many 3rd party NATO products.